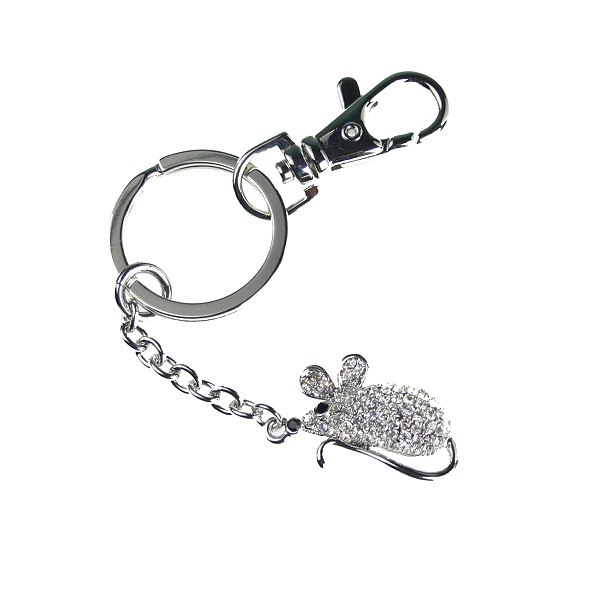 Cute small mouse with big ears and lots of diamanté on a large keyring. Can also be attached to a bag or other item using the hook attachment. Boxed.